You guys all know how I feel about Parks & Recreation, especially considering that I wrote a weirdly overemotional piece on its series finale back in February, but let me reiterate: this criminally underwatched, constantly overachieving show was one of the sweetest, happiest, funniest shows to ever grace my various screens, and though I was very sad to see it go, I was also happy to see it leave on its own terms, rather than get canceled (like it almost did, for several years). 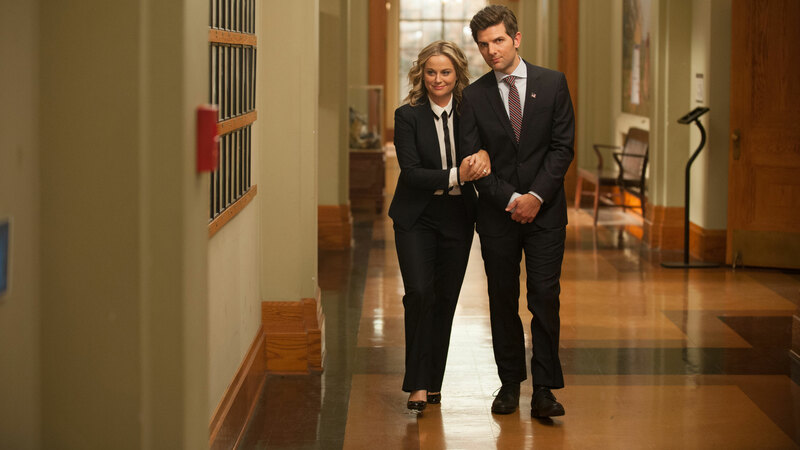 Obviously, the beating heart of this show was always Poehler’s radiantly ambitious Leslie Knope, who ultimately cared more about her devotion to her loved ones than becoming the first female POTUS. (Although, we can’t rule that out… remember the Secret Service loitering behind her and Ben in a super-flash forward in the finale??) Hillary’s non-scandalous email leak revealed this week that she, too, was a fan of Parks & Rec, and it’s not hard to see why. This was a show that celebrated all government, big and small, and tried to show the world that with a little elbow grease and a lot of dedication, you might actually be able to change things, even if you’re just removing slugs from an old lady’s sidewalk. Leslie Knope started off this series as kind of a dopey public servant (basically Michael Scott in a pantsuit and a different state), but with Poehler’s incredible comedic instinct and deeply human portrayal, Leslie grew into the kind of woman girls would want to grow up to be; a strong, tenacious, smart mother who loves hard, works hard, plays hard and never gives up on her dreams, no matter what setbacks she faces. Season 7 Leslie was, mostly, good to go as far as dreams were concerned. She had three gorgeous children, the perfect husband, Ben Wyatt (played beyond perfectly by an un-nominated Adam Scott, which is a crying shame), a job she loved that she got to tailor to her own terms, incredible friends, and a town she still loved, despite its, well, Pawnee-ness. Sure, she lost Ron somewhere along the way, but she got him back, after the classic “they’re locked in a room together!” sitcom trope somehow found new ground with Leslie and Ron’s reconciliation. (Two moments that will hopefully go down as comedy greats: Amy Poehler wildly improvising her own version of “We Didn’t Start the Fire,” and her glorious saxophone fart.) I could probably, literally write a book about this last season, much like Leslie’s 70-page wedding vows, so instead, I’ll focus on one more nugget of Knope perfection – the Pie-Mary. In one fell swoop, Schur and Poehler decimated the MRA movement and took a stand for working moms and politicians everywhere, making a pretty serious political statement while still making us laugh to the point of pants-peeing. (I’m going to link to it now for posterity.) That speech summed up so much of Poehler’s joyful, maniacal, deeply felt performance over seven seasons – she’s tired as hell, she’s not gonna take it anymore and she’s smarter than you, but she still cares. Leslie Knope always cares. Louis-Dreyfus probably will win, and I won’t hate it when she does – she gets better and better every year on Veep. But let’s look at these shows, and these parts; both Louis-Dreyfus and Poehler portrayed women in government who struggle against expectations and try their best to rise above, whether or not they succeed. Louis-Dreyfus’ Selina Meyer is still somewhere in the middle of her process, and she may never fully rise, but Poehler’s Leslie Knope absolutely did, and it’s a credit to Poehler’s performance that we felt Leslie Knope’s pain, joy, laughter and frustration for seven whole seasons without ever giving up on her, lest she give up on herself. Give it to Poehler, who took a true victory lap around the track this year and showed us that women can be a thousand things at once. Give it to Poehler for creating one of the most dynamic and funniest female characters to ever headline a show. Give it to Poehler because this is her last chance to be recognized for this truly great show. Goddammit, just give it to Poehler, please. This entry was posted in Emmys 2015, Make Your Case and tagged Amy Poehler, Amy Schumer, Edie Falco, Emmys 2015, Grace & Frankie, Inside Amy Schumer, Julia Louis-Dreyfus, Lily Tomlin, Lisa Kudrow, Nurse Jackie, Parks & Recreation, The Comeback, Veep. Bookmark the permalink.